The Gate of Dawn (Lithuanian: Aušros Vartai, Belarusian: Вострая Брама, Polish: Ostra Brama) is a city-gate of Vilnius, the capital of Lithuania, and one of the most important religious, historical and cultural monuments. 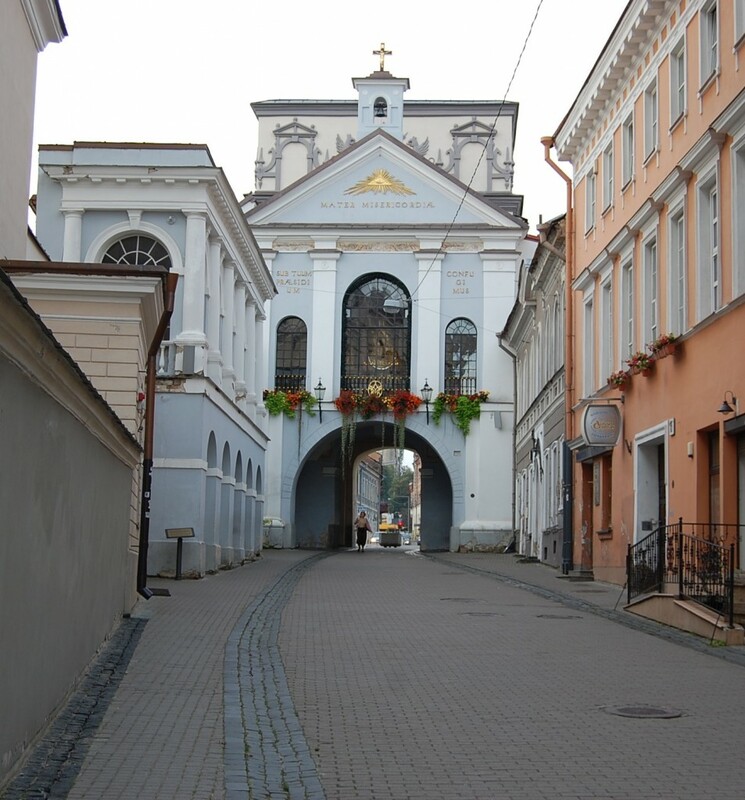 The Gates of Dawn is one of the most visited shrines in Vilnius that is famous not only in Lithuania but also abroad. 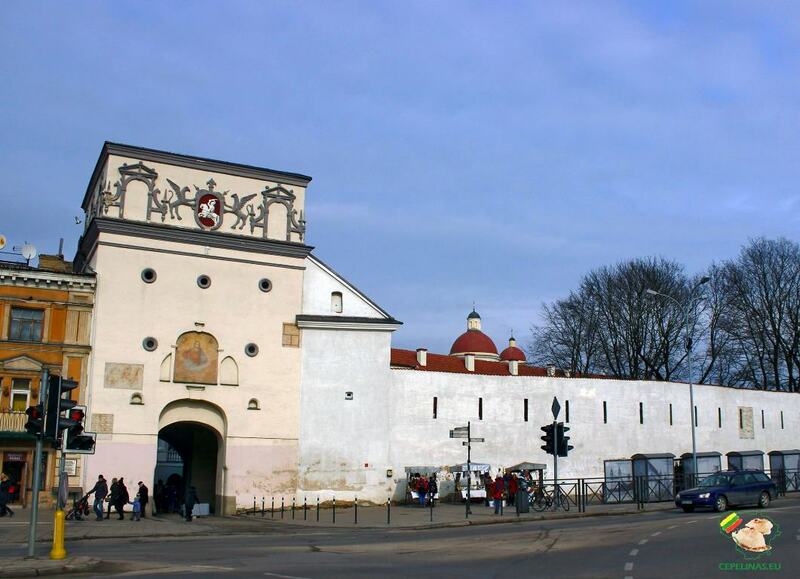 It was built between 1503 and 1522 as a part of defensive fortifications for the city of Vilnius, the capital of the Grand Duchy of Lithuania. It has also been known as the Medininkai Gate, as it is on the road to Medininkai castle. Of the five original city gates, only the Gate of Dawn remains, while the others were destroyed by the order of the government at the end of the 18th century. In the 16th century, city gates often contained religious artifacts intended to guard the city from attacks and to bless travelers. 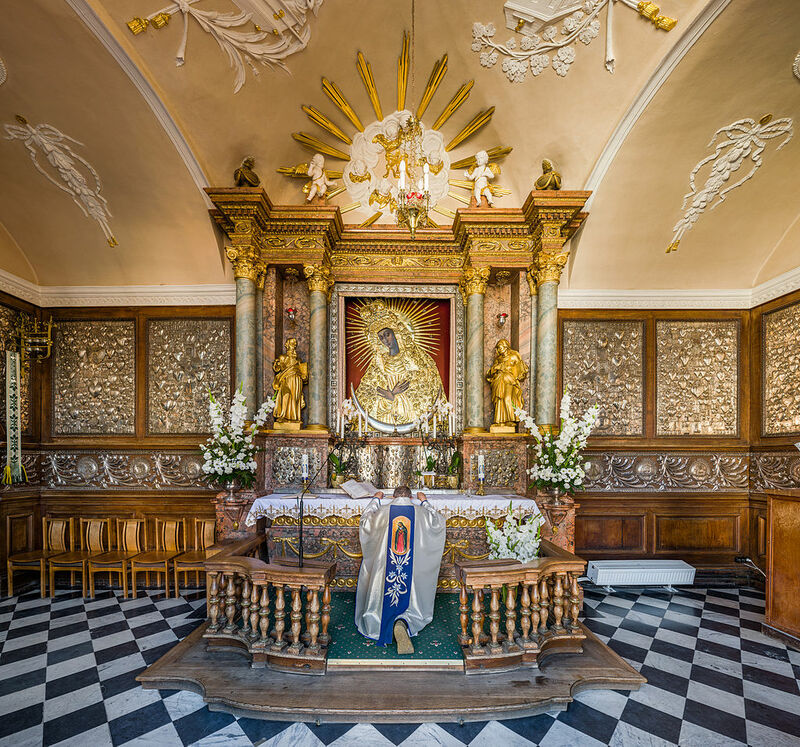 The Chapel in the Gate of Dawn contains an icon of The Blessed Virgin Mary Mother of Mercy (Lithuanian: Aušros Vartų Dievo Motina, Belarusian: Маці Божая Вастрабрамская, Polish: Matka Boska Ostrobramska), said to have miraculous powers. For centuries the picture has been one of the symbols of the city and an object of veneration for both Roman Catholic and Orthodox inhabitants. Thousands of votive offerings adorn the walls and many pilgrims from neighboring countries come to pray in front of the beloved painting. Masses are held in Lithuanian and Polish languages. After World War II the cult of Our Lady of the Gate of Dawn prevailed in Lithuanian and Polish communities worldwide and is continued in many shrines to the Virgin Mary in Europe, and the Americas. The largest of the churches devoted to Our Lady of the Gate of Dawn is St. Mary’s Church in Gdańsk, Poland. The shrine is also important in the development of the devotion Divine Mercy as it is the first place where the Image of Divine Mercy was exposed for the first time and also where the first celebration of the Feast of Mercy took place. On September 4, 1993 Pope John Paul II said Rosary at the Gate of Dawn Chapel. 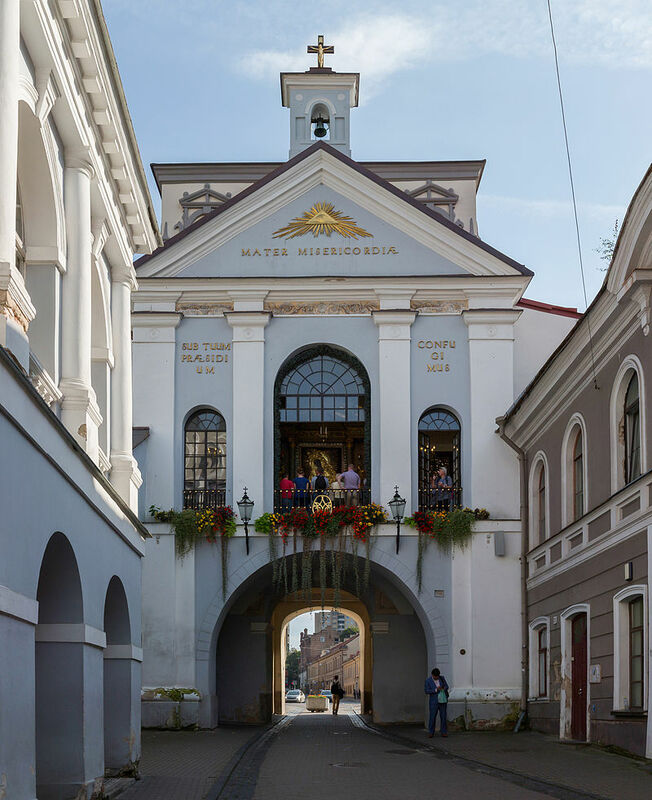 Church festival of the Blessed Virgin Mary Mother of Mercy—celebrated in the third week of November—is of great importance in the Vilnius Archdiocese.